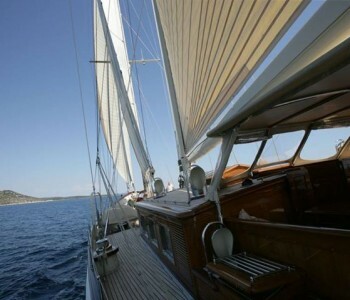 Oyster sailing is a boutique where we craft your experiences meeting up all your essentialist as you desire. We specialize in designing the joy of various attributes of sailing or celebrating the best moments of your life. We also cater to designing experiences for the people who lives out of their brief cases. “Water”, the most important element in humans life, brings resonance inside the soul of every human being replacing all negativity with peace, joy and excitement in and around a human being. In the daily course of life, we often forget ourselves and the ones who matters the most. Scientist and Dr. Mosam Emoto (Japan) says – “water has memory and it reacts towards a human body and a human mind through the expression of their vibration created around them”. 70% of human body consists of water, it is said that, if we give life and love to water, it fills our life with gratitude, peace, affection and tolerance . We understand the happiness of being able to learn and do new ventures of life hence we introduce our courses according to the age, time and comfortablility of the learner dividing it in to several stages as instructed by our experienced and extremely equipped instructors closely associated as the part of our team and mission. Our goal is to gift an experience of a lifetime – to create “The unstoppable” attitude towards life, to create a “Sense of freedom’, to help people” explore” and “discover” themselves in a new self.